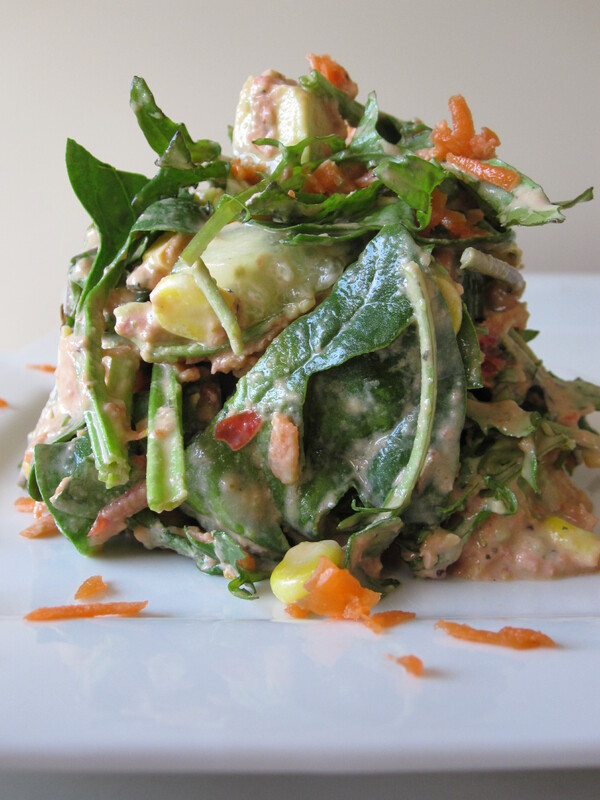 And for dinner tonight – a rich creamy delicious raw salad! This is full of flavour, energy, colour and nourishment. You may want to add this one to your favs list… tis a goody. Place everything together in a large bowl and with your hands massage the dressing through the salad. This works well if you mold into a compression mold and then serve, alternatively just eat it as it is… Not pretty… but so very yummy! Inspired by the lovely Jenny Ross from her book, Raw Food Basics… one day I would love to have a restaurant like 118 degrees – wow!! !